This was the exact image that came up in my mind, when I heard that Antarctica could be explored for coal in the future. This is exactly like that idol-making business. Only more dangerous. We would be exploring the region for coal, thereby destroying the glaciers, and the we will exclaim sitting in an AC room back home- “Oh! Climate change is causing such huge problems! Firstly, this idea is not really feasible. One of the Antarctic Treaty nations hired a mining consultant to assess the possibility of exploiting the coal present in the Transantarctic Mountains in Anatarctica. The result of the consultant’s research was the the coal there is of really low quality, and is spread out really thin and in broken bands. Hardly an attractive reservoir. It’s like a Ferrero Rocher chocolate that’s been flattened and broken. It’s really not as tasty as a complete and round Ferrero Rocher. And we do have complete and round “Coal Ferrero Rochers” in other parts of the world, rich deposits that haven’t been exploited yet! BUT–even though it isn’t feasible today, the future is a different story. There are is a major factor that can really make the world leaders and money-hungry mining companies to look at the Antarctic coal deposits with hungry eyes- growing energy demands. Because, even a flattened and broken Ferrero Rocher is attractive to someone who is really hungry. And this is where the ecological aspects of exploring and exploiting the coal of Antarctica will come into play. It is in this situation that environmentalists will have to drill through the economy-crazed leaders that glaciers are more important than any coal that Antarctica can provide. Our exploration activities is sure to cause a change in the color and translucency of ice; something that is really important when it comes to reflecting sunlight. Glaciers have the ability to reflect most of the sunlight that falls upon it, and this one of the reasons that they exist. If this reflecting ability is altered in anyway, then it would mean glacial melting and increasing global temperatures; the dreaded 2 letter abuse that environmentalists throw around: CLIMATE CHANGE. It’s not just the glaciers, ocean and the atmosphere will also be greatly affected. 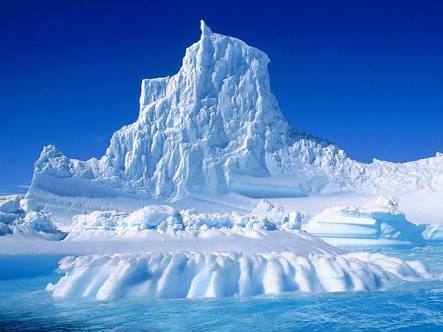 All of this together will affect the life in Antarctica. We’ve already done enough to the life in the Arctic. 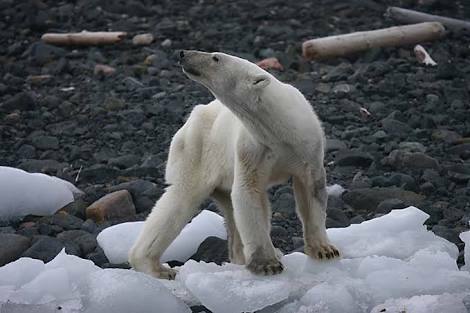 It hurts to see pictures of starving and stick-thin Polar Bears. I really don’t want the same to happen to seals and Emperor Penguins. The solution? Obviously, exploring green energy. There’s a reason this keeps cropping up, it’s a good idea. It’s time the world leaders focused as much on ecologic development as they do on economic development.